Craft breweries in the Ottawa area say they're scrambling to find enough cans to fill with beer — and Canada's retaliatory tariffs on U.S. imports could be partly to blame. Tariffs and price hikes could soon make it harder to crack open a cold can of craft beer. 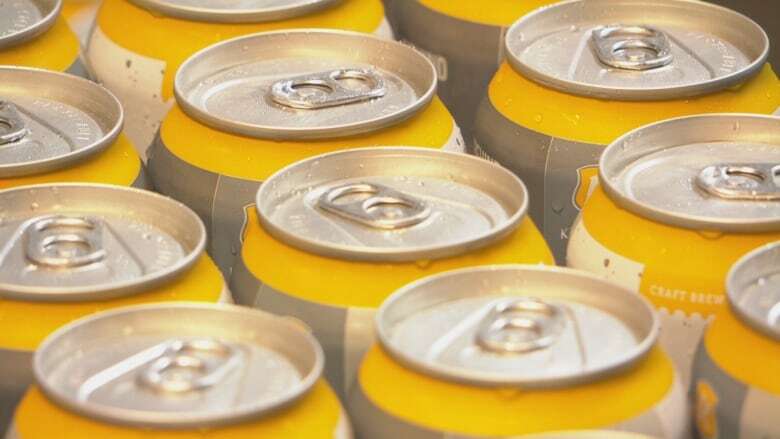 Ottawa-area breweries say they are facing an aluminum can shortage, with deliveries delayed and prices rising. Some are blaming the trade war between Canada and the United States. Brewers fear retaliatory tariffs the Canadian government imposed on aluminum imports from the U.S. are tapping out the supply. 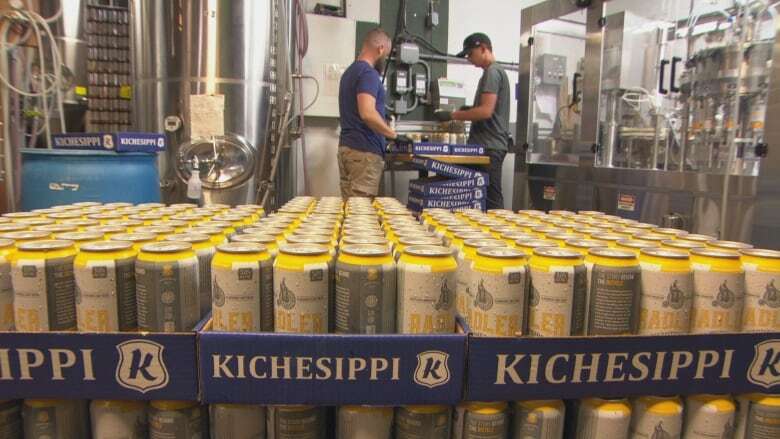 "With the tariff issue there's a lot of uncertainty in our community," said Paul Meek, owner of Kichesippi Beer Company in Ottawa. Meek said he's unsure when his next shipment will arrive. "Just this morning we got a call from our main supplier of cans and they said your order isn't going to be ready in August and we don't know when it will be," Meek said. Meek said it usually costs him 21 cents a can, but that would double if he turns to another supplier to fill the gap in the short term. "An extra 20 cents is what my cost will be. How do I absorb that?" Meek said. "The customer is not going to want to take that hit." Brewers say the demand has risen as the industry shifts from bottles to cans, and suppliers should have anticipated this trend. But no one saw the tariffs coming. Steve Beauchesne of the the family-run Beau's Brewery in Vankleek Hill, Ont., east of Ottawa, said cans only represent 20 per cent of his company's product. "But it's still scary," Beauchesne said. "Losing 20 per cent of your business overnight is not something any business wants to do." Tariffs can be "potentially devastating and ruinous for small businesses," said Adam Taylor, a consultant on international trade. "These types of actions always hit small businesses first," Taylor said. "The big guys can afford to stock up on cans … It's the small folks who have to rely on weekly, biweekly and monthly shipments."